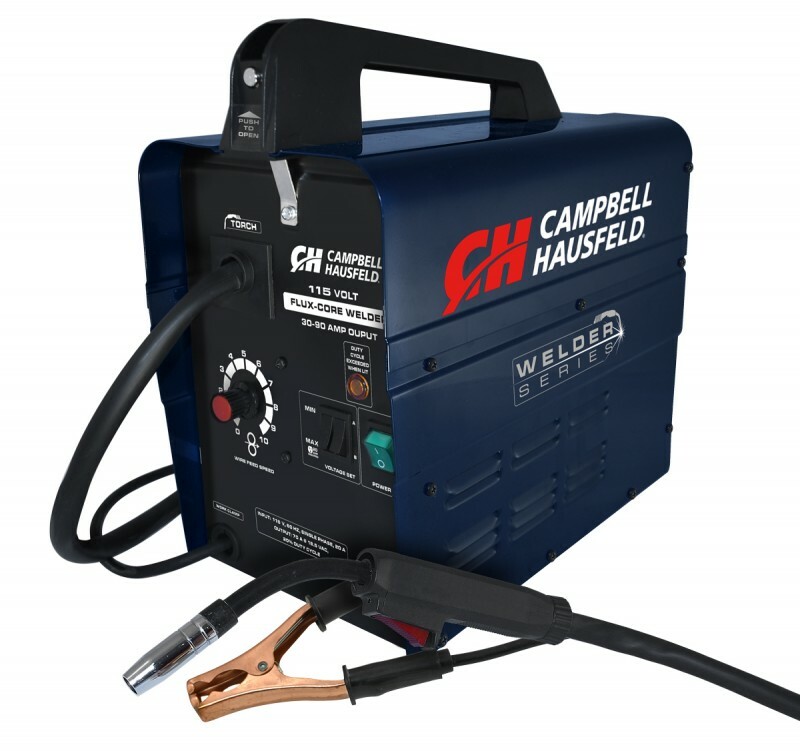 The Campbell Hausfeld flux-cored wire welder is great for welding projects around the house and shop. 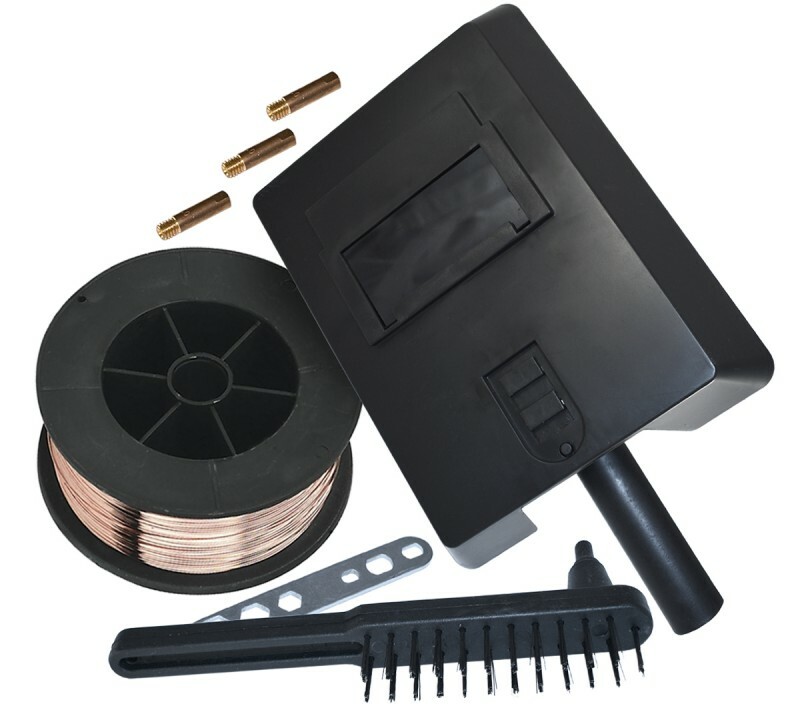 Select from four heat settings to match metal thicknesses up to 3/16". The independent drive deck transformer delivers a consistent wire speed that’s infinitely adjustable for a smooth, even weld bead. Thermal overload protection activates automatically to avoid overheating. 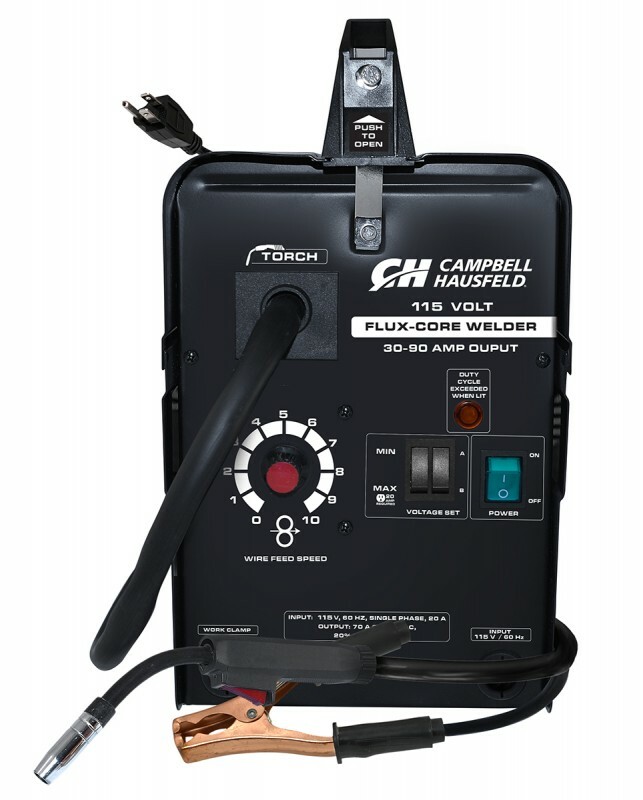 This welder includes a starter spool of flux-cored wire and two extra contact tips. Duty cycle: 20% @ 70 A output. Weld and ground cable length: 8 feet. 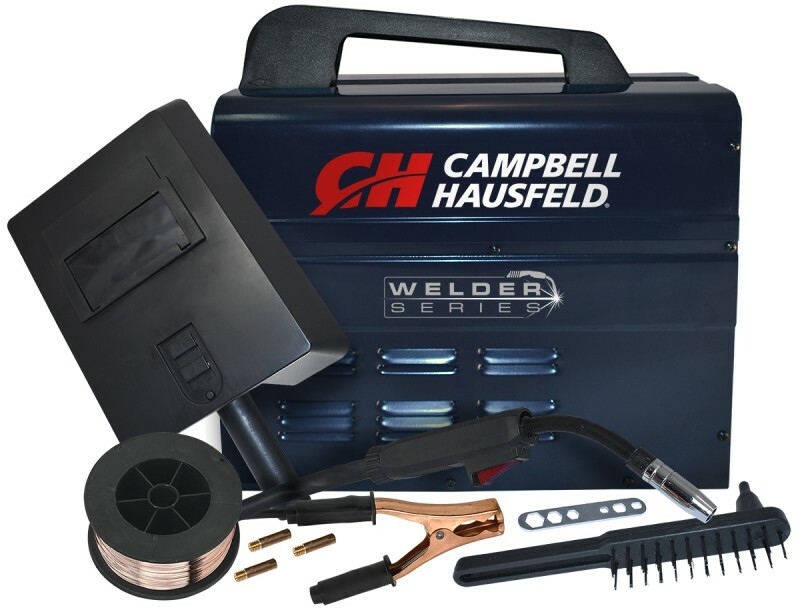 Finish your projects faster and easier with the Campbell Hausfeld Welder Series.